Many thanks to Marcus Harris, Marvin Gaines and the Iota Phi Theta Fraternity for presenting a donation to Covenant House Academy-Detroit!! The donated funds were from a Bowling Day event hosted by them just for us. Again, we say thank you and we look forward to the Community Services partnership with you in our academies! Jump Shot Your Future!! This was an event held on January 28th at the Charles H. Wright Museum. It was to benefit current and former foster care students ages 14-25, to assist them in learning the secrets 2 success in college. 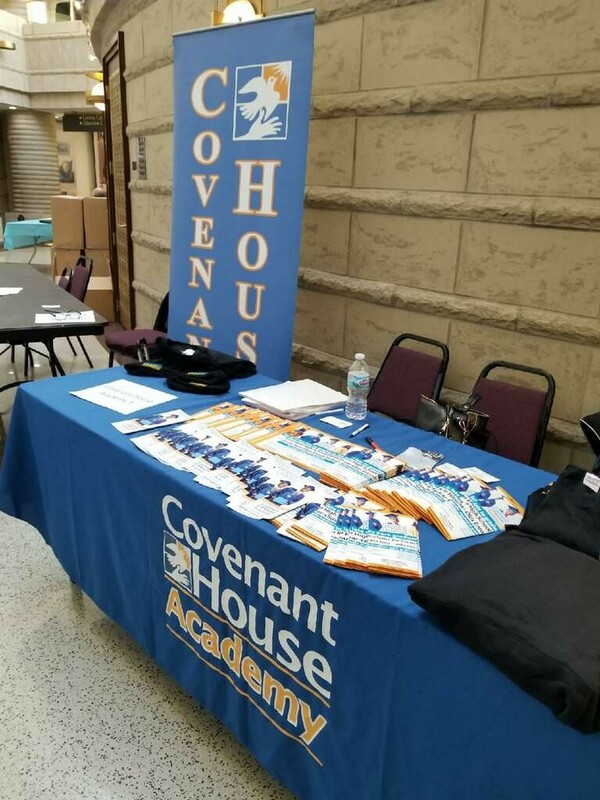 Staff and students from Covenant House Academy attended the event, and also had an information display table of our high school diploma program. Great job everyone! !